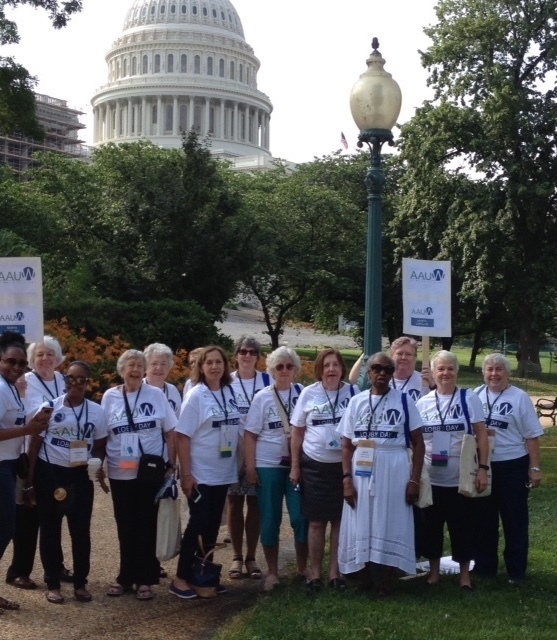 AAUW NC members climbing Capitol Hill to visit the offices of Sens. Burr and Tillis. When the AAUW Convention brings hundreds of members to DC, a highlight is always the Lobby Day on Capitol Hill. The picture of the person being interviewed “lost” its caption. It is Tryon Area branch member Lillie McCain who caucused with the members from South Carolina.